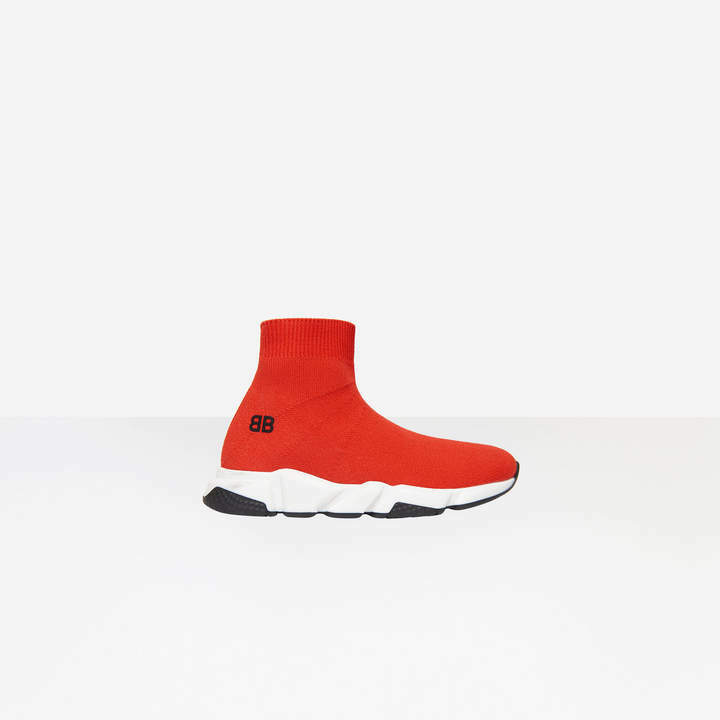 • Kids collection • Knit sock effect • BB tone-on-tone logo on the sock • Two-tone textured sole • Memory sole technology • Shock absorber • Very light shoe : 240g • Embossed Balenciaga logo on the sole • 10 mm arch • Made in Serbia • Wipe with a soft clean cloth • This item has a double sizing, a size 25 equals a size 25/26, a 27 equals a 27/28 and so on up to size 33 which equals a size 33/34. We therefore suggest you take a size down if the child is an even size. Take for example a size 25 if the child is a 26.